A striking look at how relationships and humanity is affected in our world's current economic situation. Made for people who enjoy closely crafted character drama. 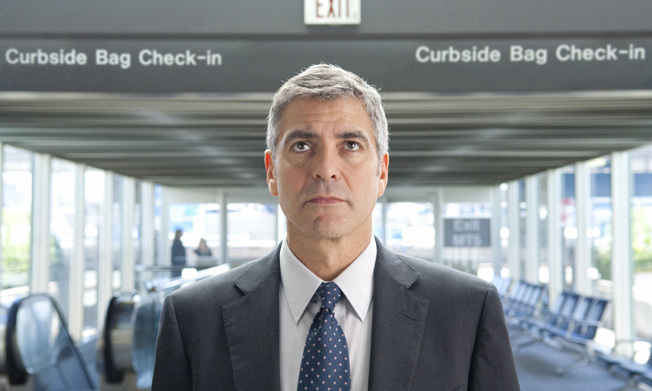 Ryan Bingham (George Clooney) fires people for a job. In a time of economic recession, he finds himself busier than ever before. He traverses the country delivering the bad news to unsuspecting employees that react to losing their jobs in a variety of different ways. Some cry, others curse, and others even mention suicide. Ryan is there to console them. To help them “transition” to the next step in their life. He’s hired by companies too chicken to fire their own employees. He’s there to sugarcoat their departure and to actually put a bright spin on it all.